I can't remember for sure. Here's a 13BT I bought last year. Proper goosed. They're not the same but it's been a few months since I did this on a 12A. You can get any gaskets you need from Mazda easy enough so give it a go. TOOL I would think......he's the tech guru. I wouldn't go that far lol. I've just sent a few to the scrappy in my time. 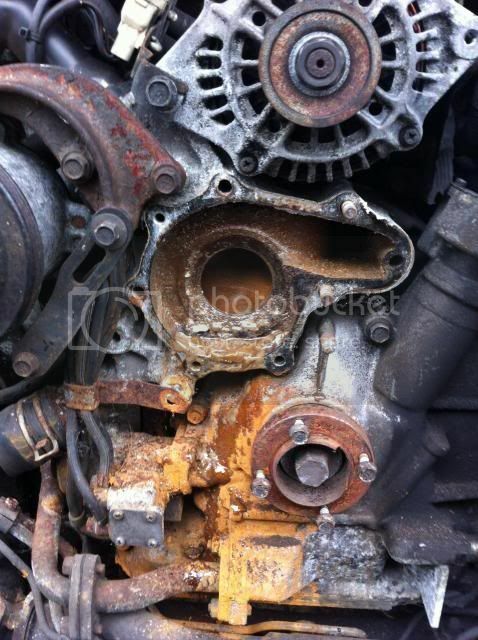 Of course you can take the water pump off. 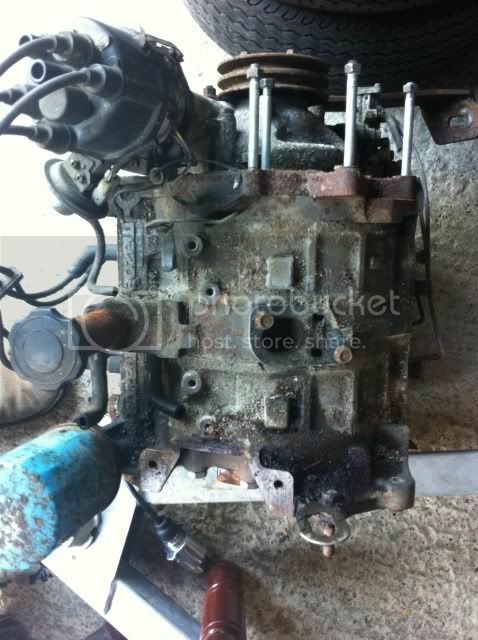 You install the water pump after assembling the block. Thanks for the pics, the 13b looks bad, butbi fear that how mine will look internally also on the 12a it looks like the main pully is smaller than mine... maybe just the photo. That looks pretty corroded. As long as you can seat a gasket it should be fine, but it's not like the manifold wears so you should be able to pick up a good replacement for peanuts/free. The bits you're referring to between the ports are supposed to be solid. That's just crud build up on top. Ignore it. Woop woop, finally got round to removing the water pump and housing. The pump came out first, then I had to remove the studs from the block and pull the housing off. Going to clean it all up and get it back on... the pump looked fine 100 times better than any of the bmw pumps ive ever changed!! I did find part numbers on the mazdatrix site but they seem to be in the wrong order and mazda do t recognise them. Have you got a copy of the series 3 factory parts catalogue Rich? The first thing I do is to put two "tablets" for a dish-washing machine in the radiator. I drive around for an hour or two like that, just to make sure it cleans the hole system. Then I rinse through everything real well with a garden hose. After that I fill up with only water and run the engine for an hour again. And after that the final fill with a 50% mixture of distilled water and antifreeze!